Did you know you can now order your Deliveroo takeaway from Baker and Spice here on View? By using only the finest organic ingredients which are independently sourced, Baker and Spice create stunning pastries, cakes and Mediterranean dishes. Do you work at Baker and Spice? What did you think of Baker and Spice? I love the stuff they do at Baker and Spice, it is so self indulgent. The pastries are delicious and the cakes are very well made. Everything is so nicely presented and the staf are very friendly too. Baker and Spice is a real treat. I just love pastries and so I could become very fat if I came to Baker and Spice too often. Their cakes are just to die for and the staff are so friendly. It is a smashing little cafe. I will be taking my Grandma to Baker and Spice when she comes to see me and we will eat fabulous patisseries together! OMG the cakes are just divine at Baker and Spice! I love this Baker and Spice a lot, I would go everyday if I could, the cakes and pastries are the best I've had and the hot drinks are perfect for me, I love this café. This is a super café for a coffee and a little cake. I often go here with friends when we are in town and have a hot drink and a cake or pastry. The pastries are great and a lot of choice is offered to you. I would recommend Baker and Spice to many people. 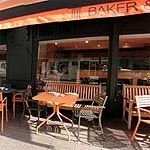 Baker and Spice is a regular haunt with the ladies at lunch, the coffee is nice and the pastries are out of this world!!! 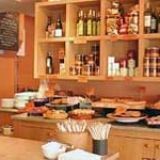 I have been to Baker and spice a few times with friends and family and the staff are very kind and do what they can for you. 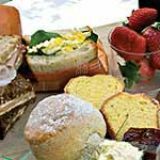 The pastries are very flavoursome and the cakes are really nice and go down well with a tea or coffee. 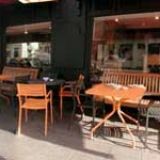 This is an awesome café we go here often for a light snack and the hot drinks are really good and we love having a coffee and a catch up with friends. Perfect for relaxing with a warm hot chocolate in the winter. Baker and Spice is one of my favourite places to have a tasty treat. Have got into the habit of buying a sweet option every time I go buy. Not bad on the budget but maybe slightly naughty for the diet!! My friends and I go here for a coffee every time we are in the town, we love Baker and Spice and the coffee is very nice and the cakes are nice to have with a coffee or tea.